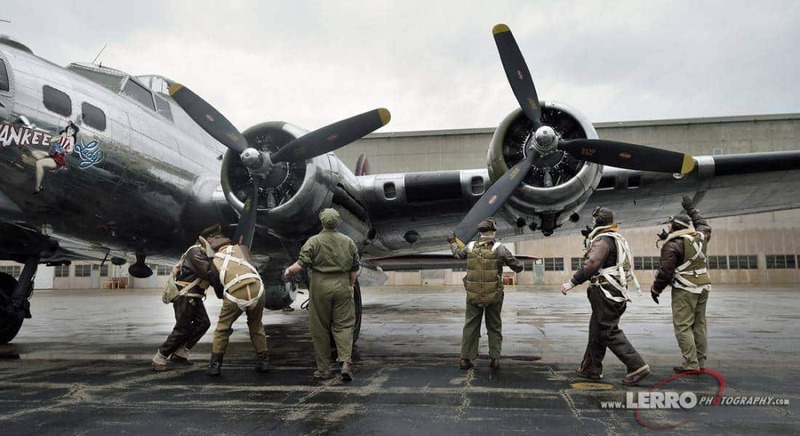 The Boeing B-17, nicknamed the “Flying Fortress”, is a four-engine heavy bomber aircraft developed in the 1930′s for the United States Air Force. 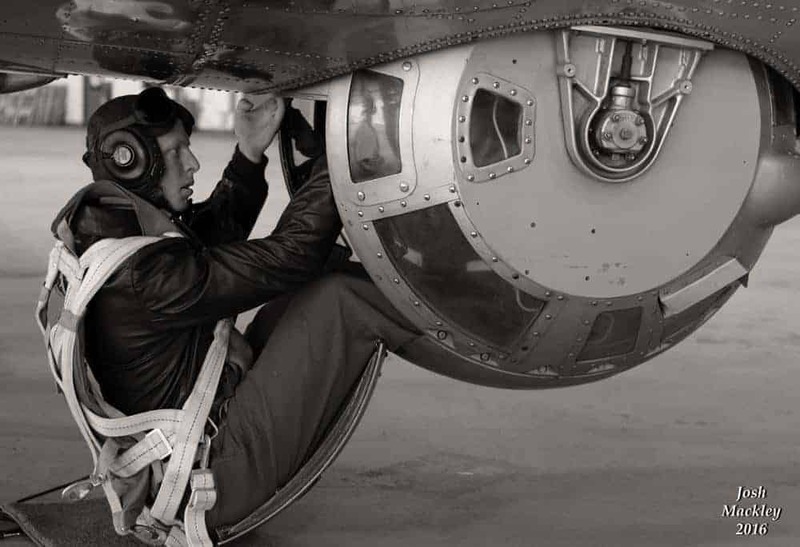 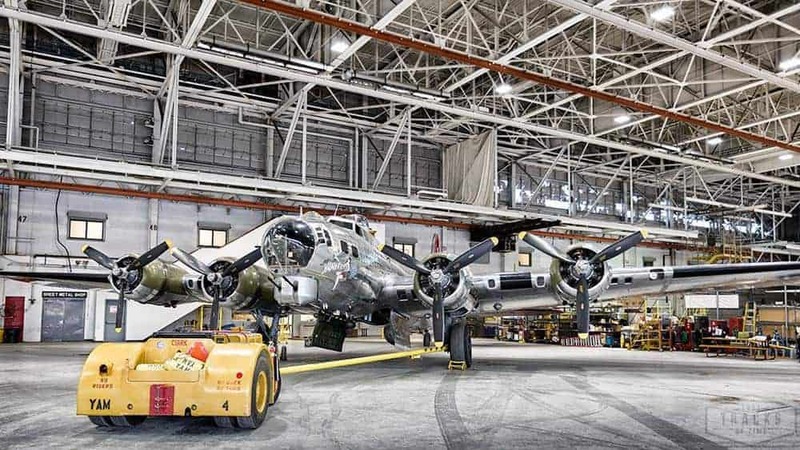 During its production, 12,732 B-17s were built and of these, 4,735 were lost in combat. 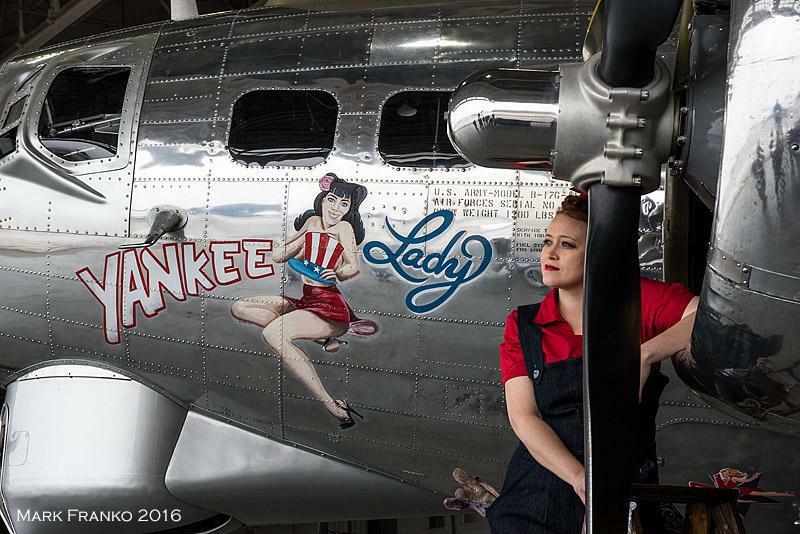 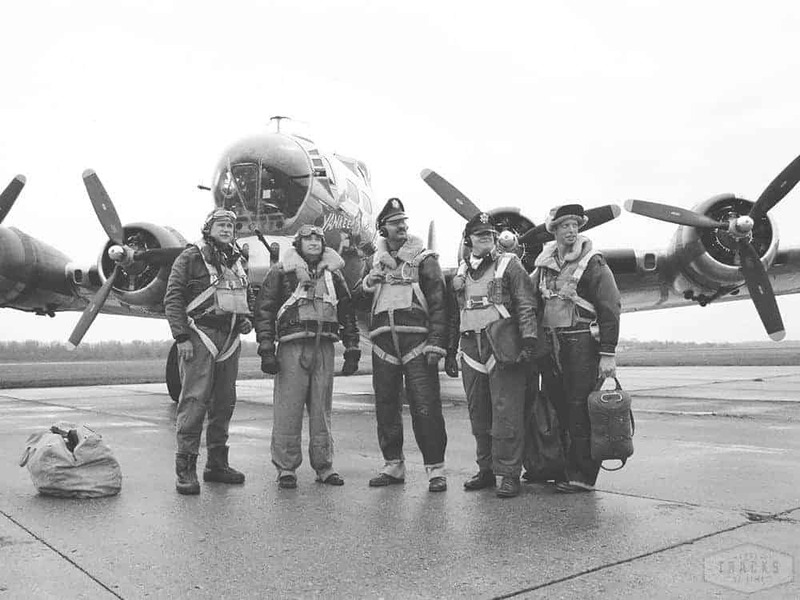 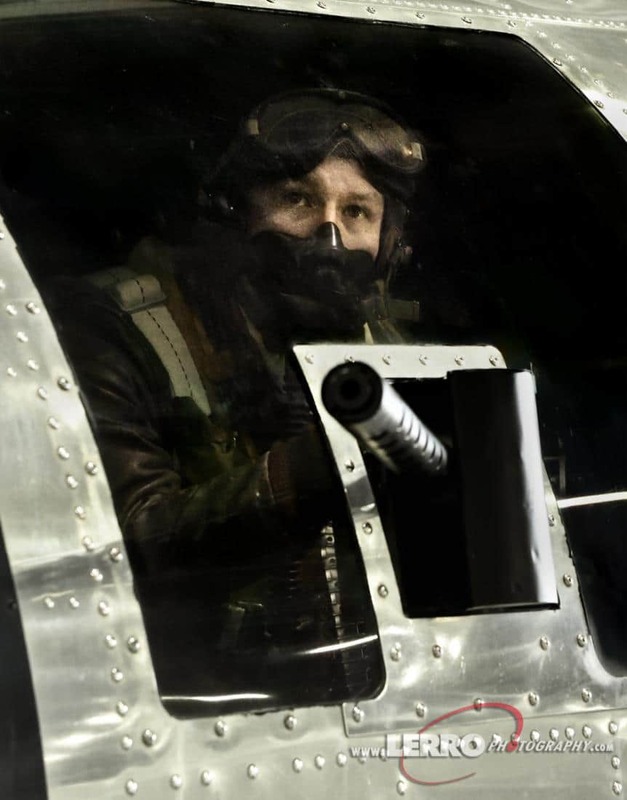 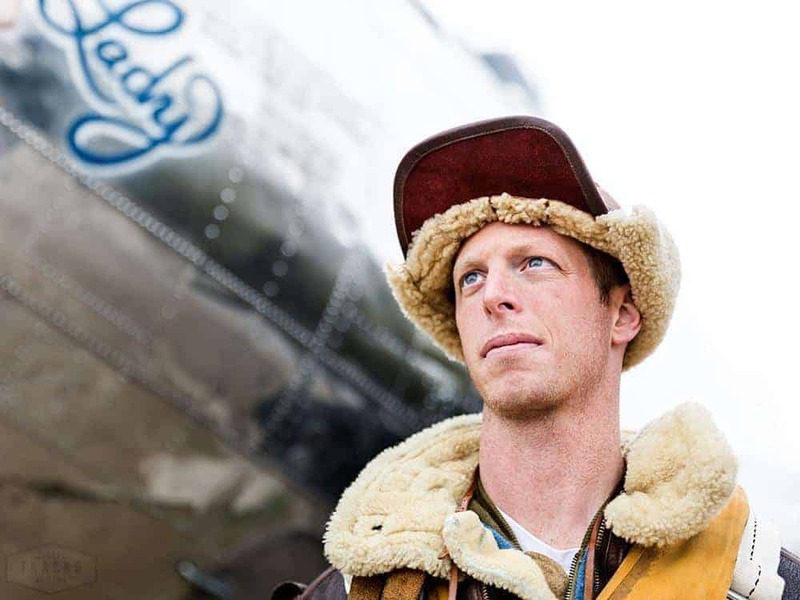 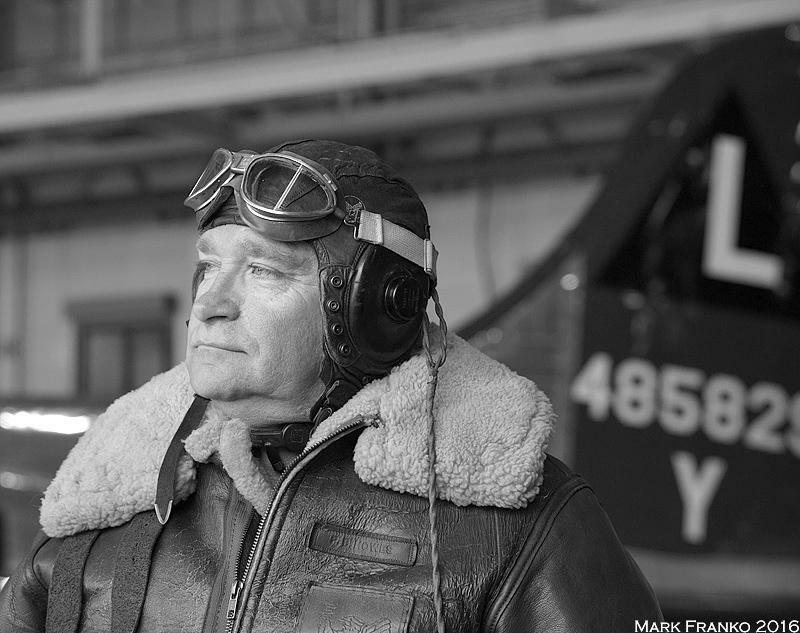 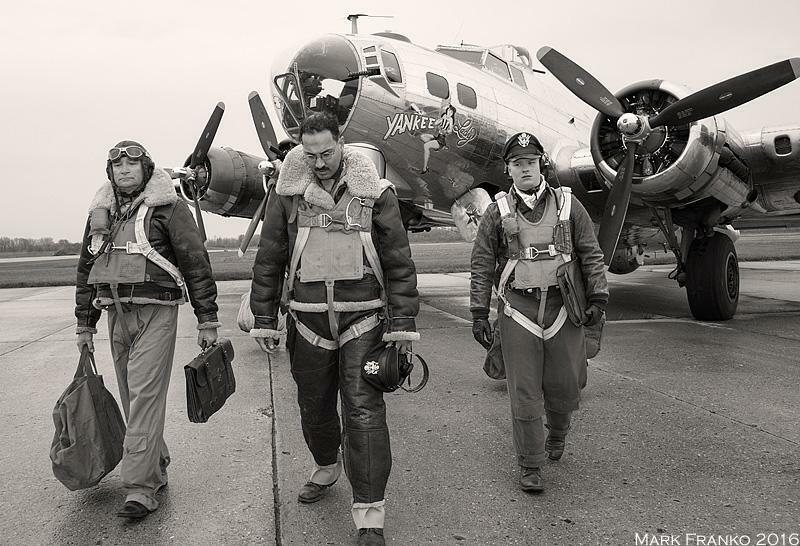 For our photo shoot, we photographed the B-17 “Yankee Lady” with a number of reenactors from local and regional groups to help portray a number of WWII era scenes. 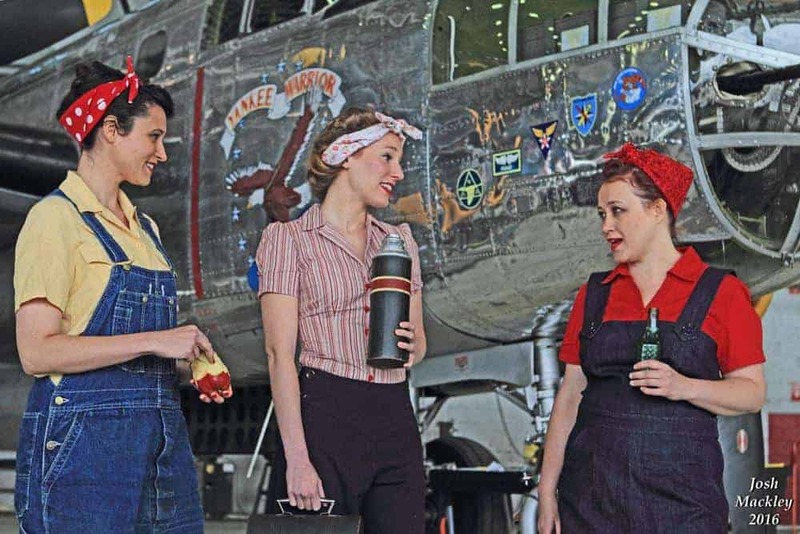 For the first hour or so, we had three gals dressed as Rosie the Riveter. 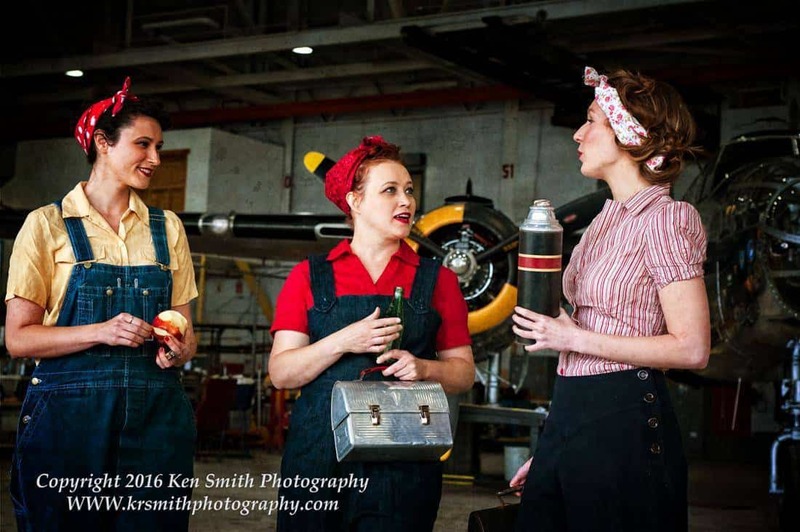 Two of the gals, Alaina and Devin, have been seen at previous photo shoots in Owosso. 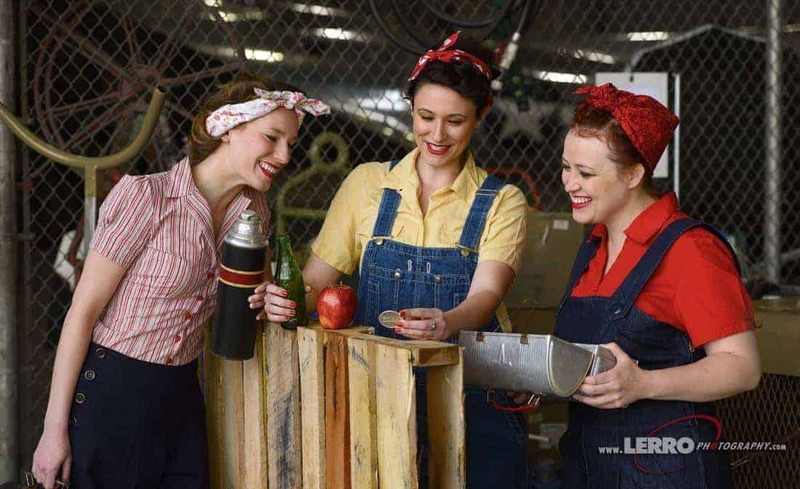 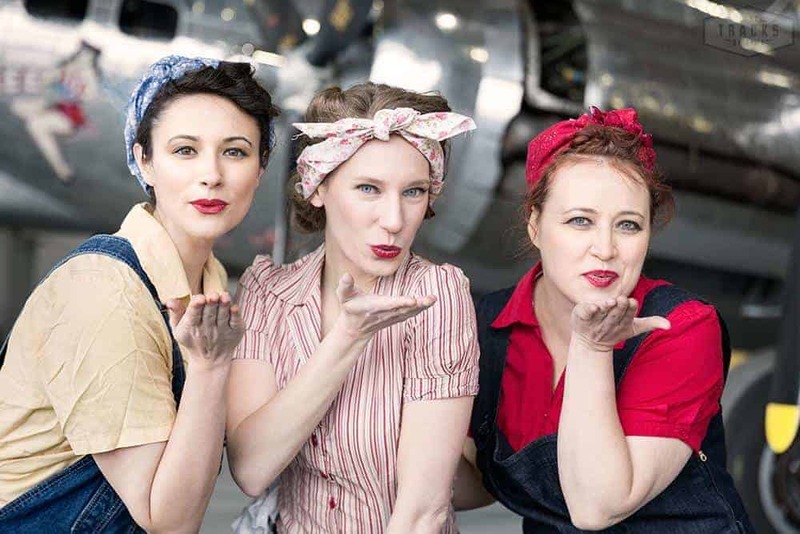 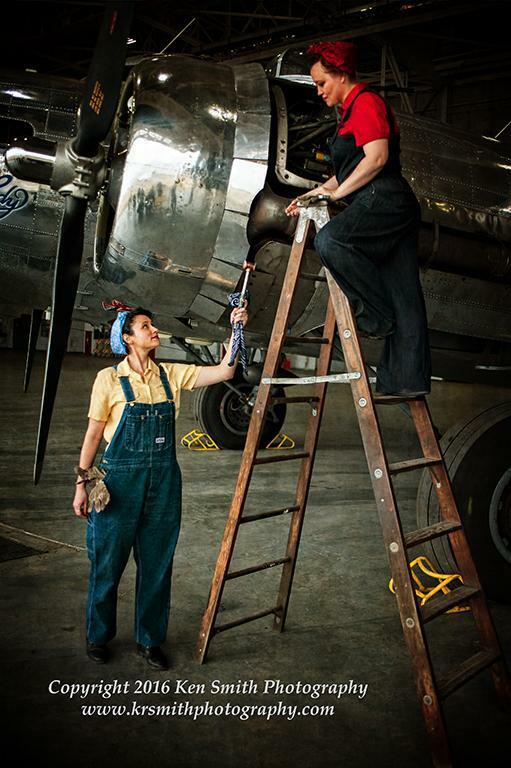 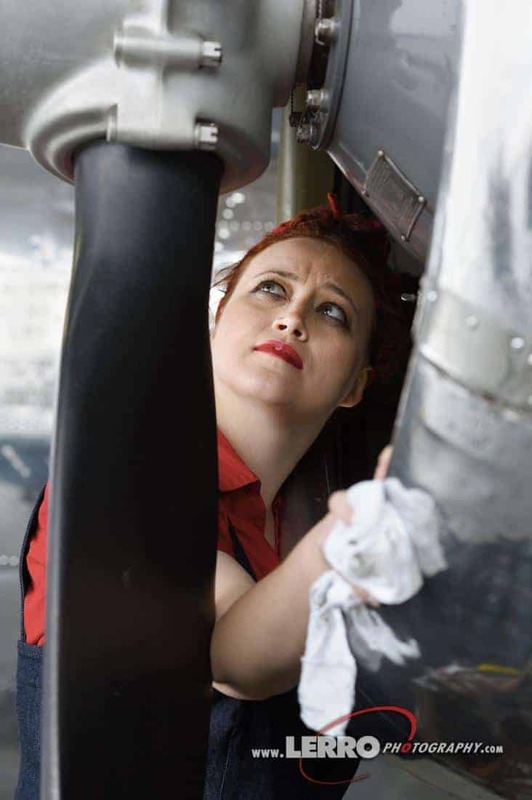 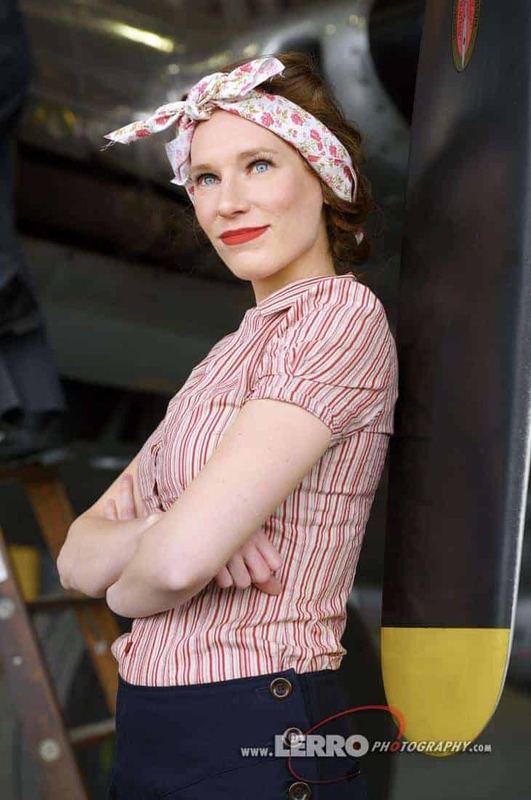 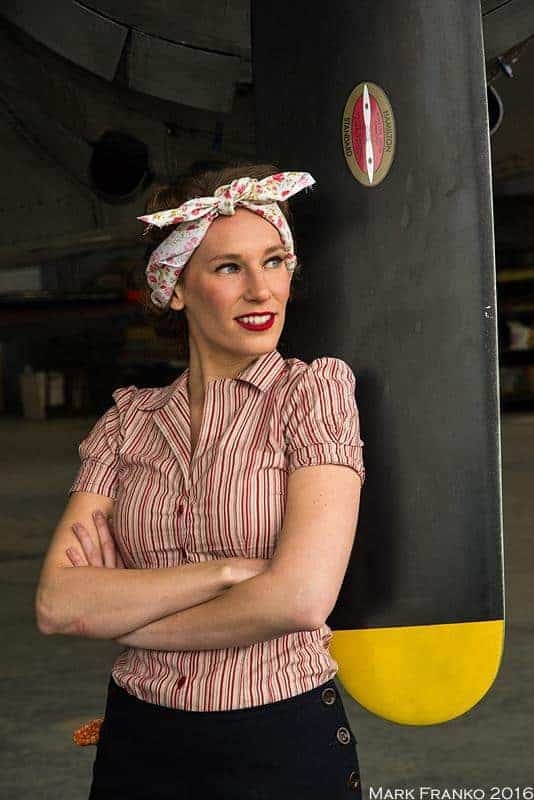 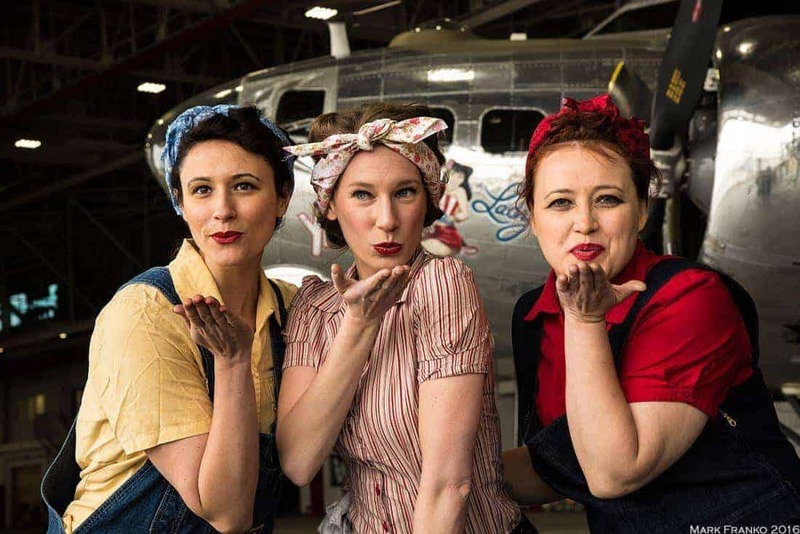 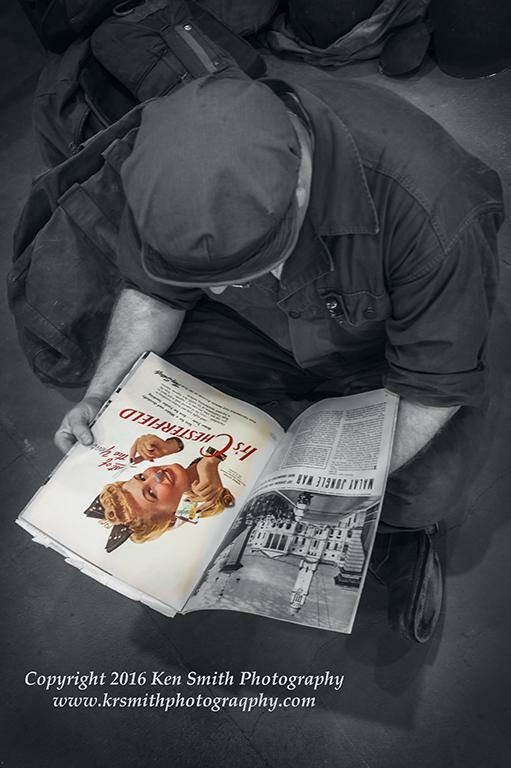 The third gal, Alison, is a volunteer with the Yankee Air Museum and helped organize the Guinness World Record largest gathering of 2096 Rosie the Riveter reenactors in October 2o15. 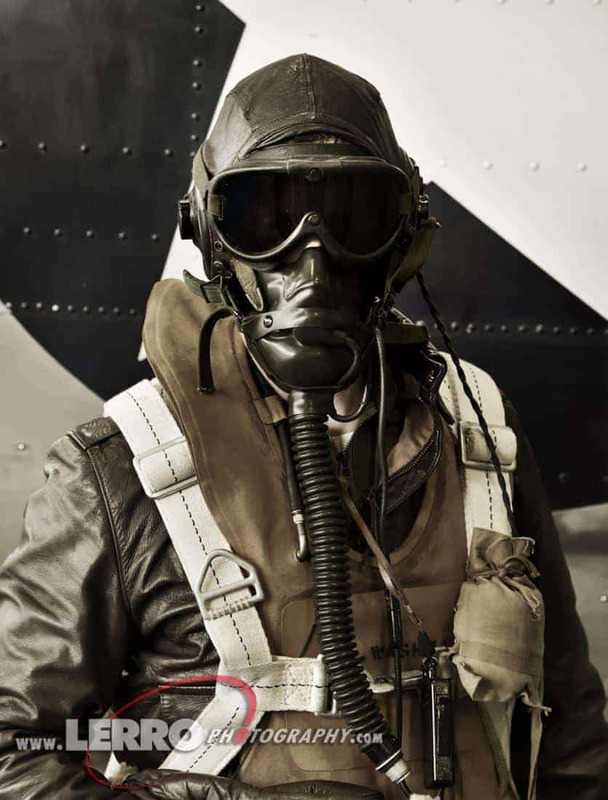 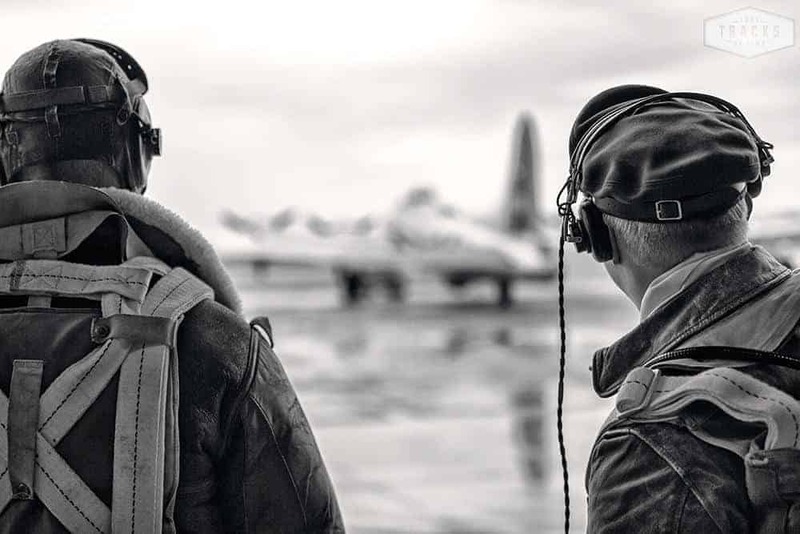 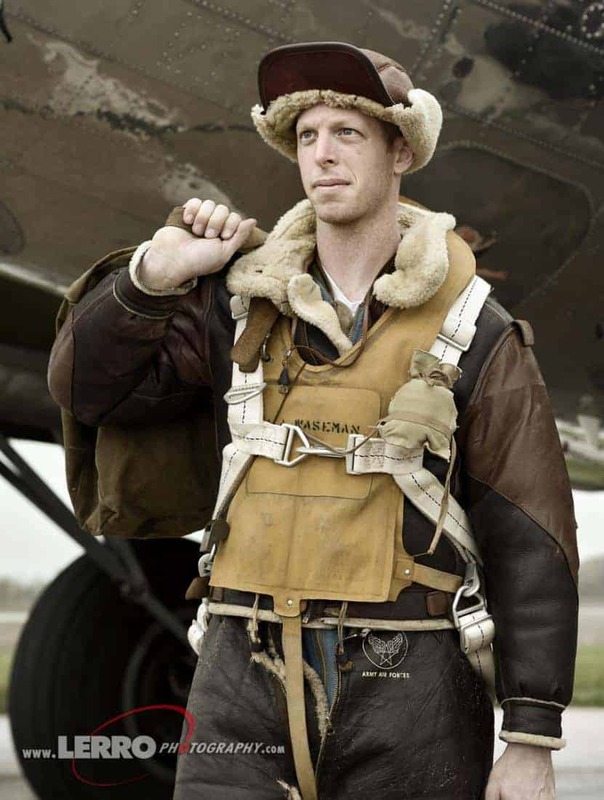 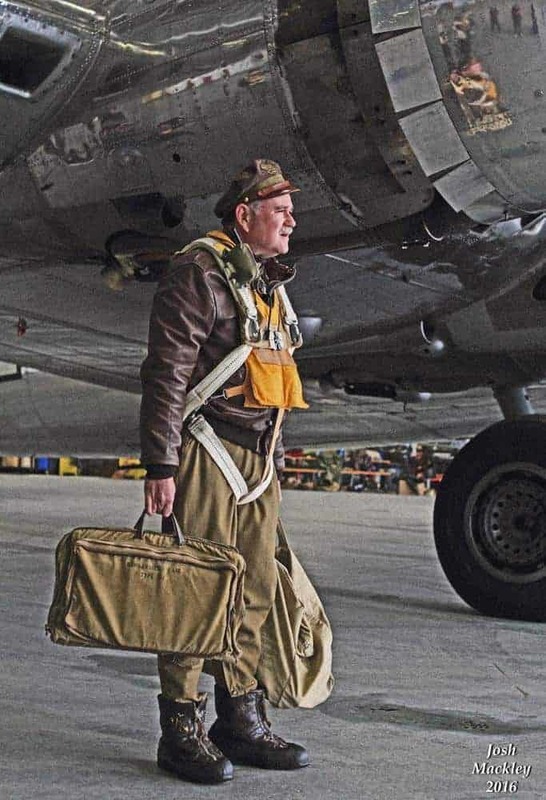 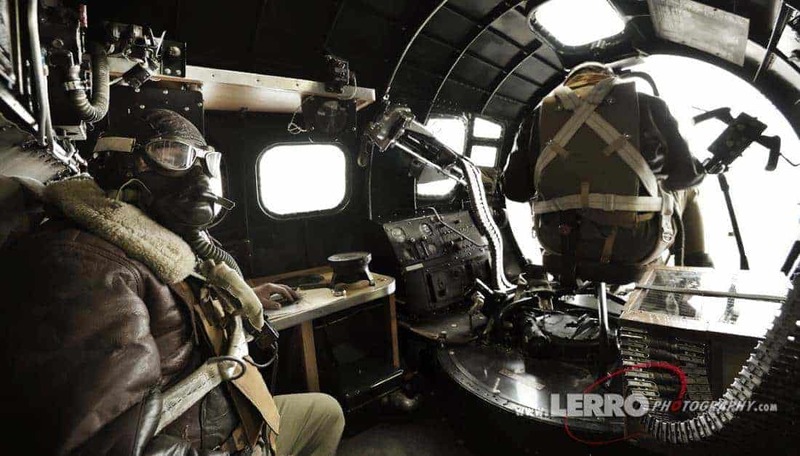 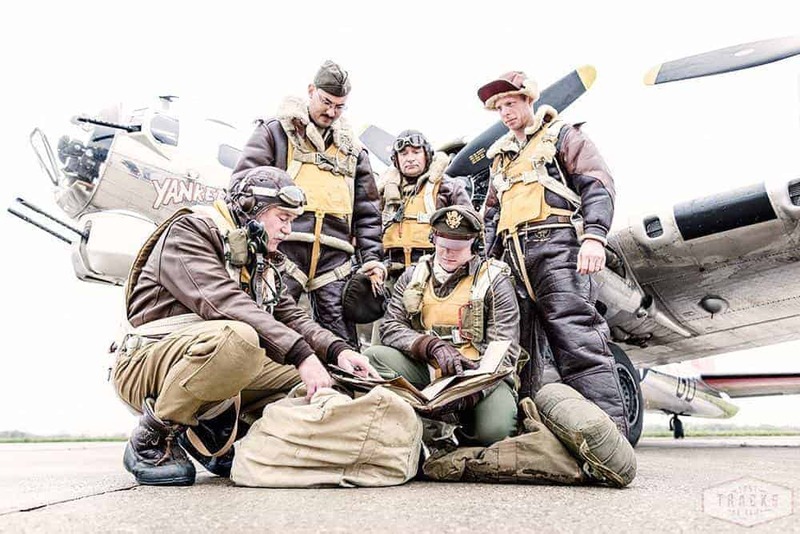 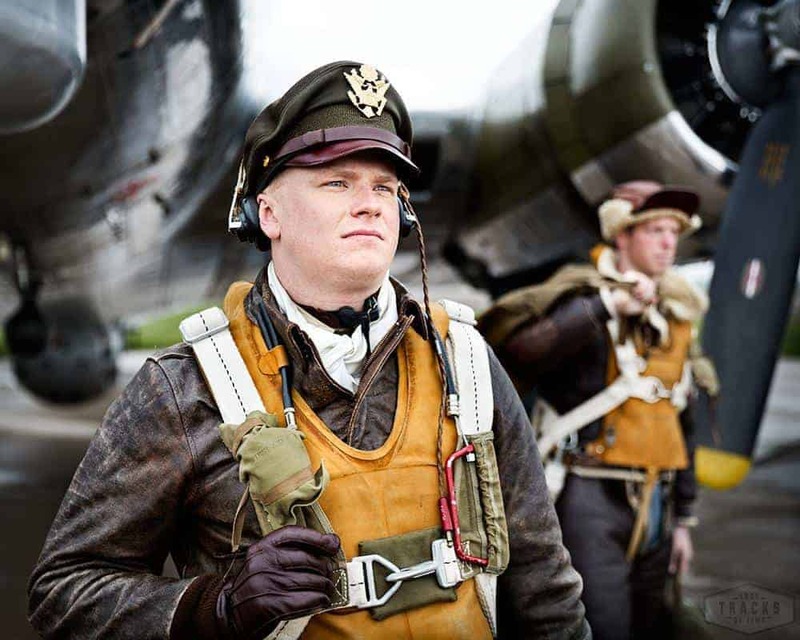 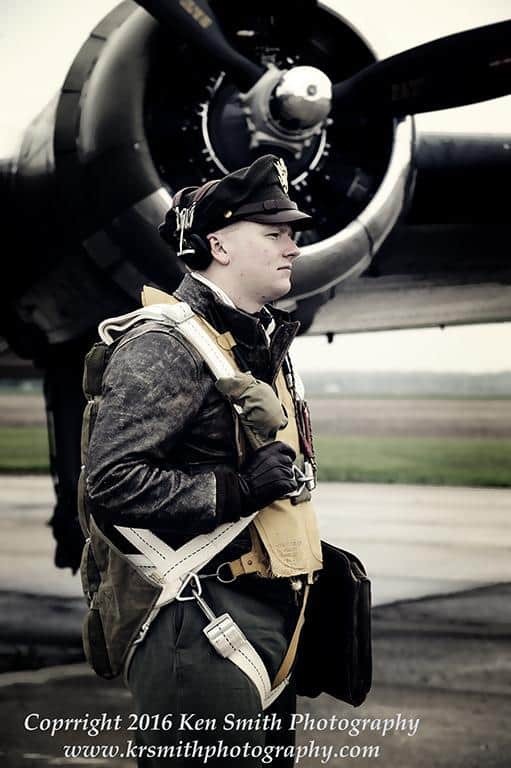 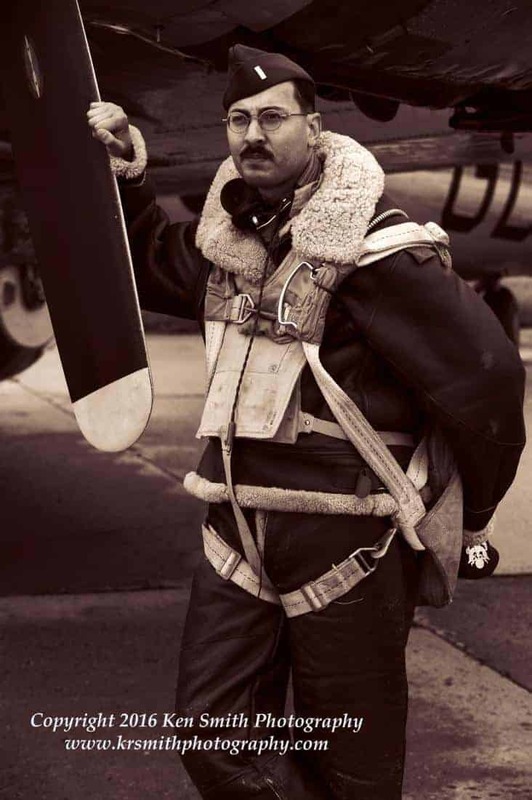 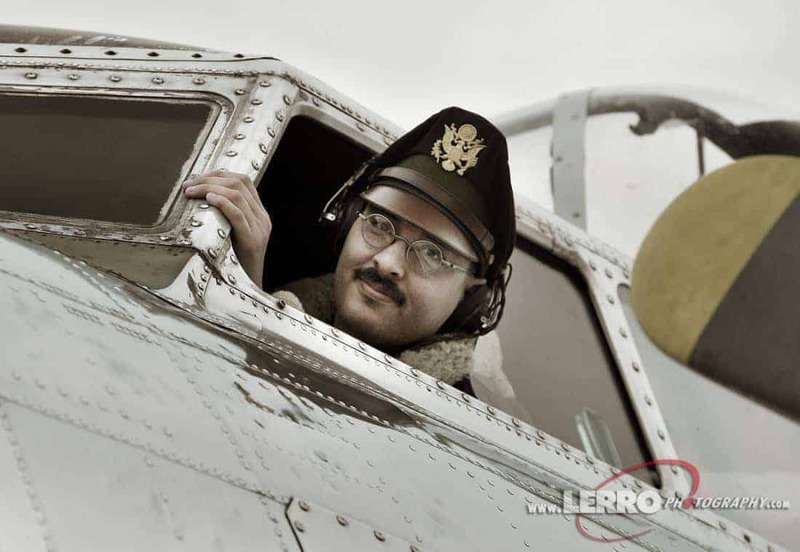 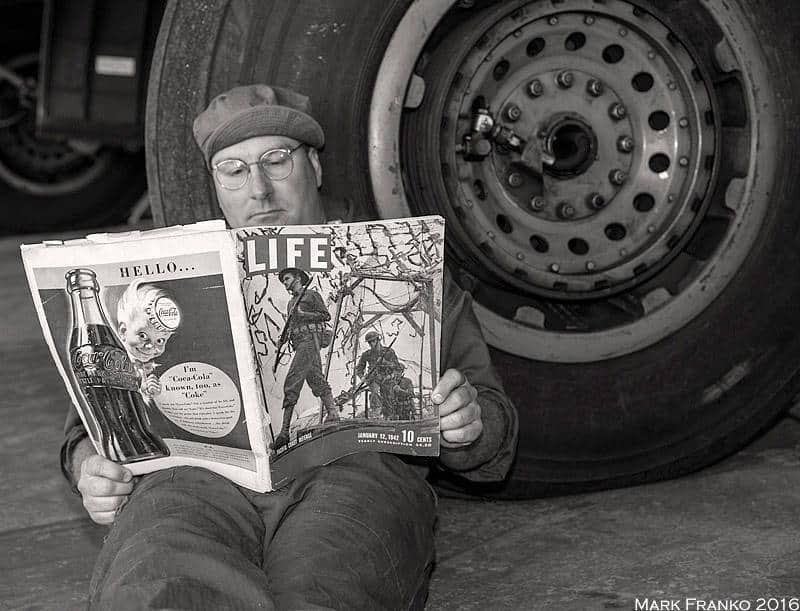 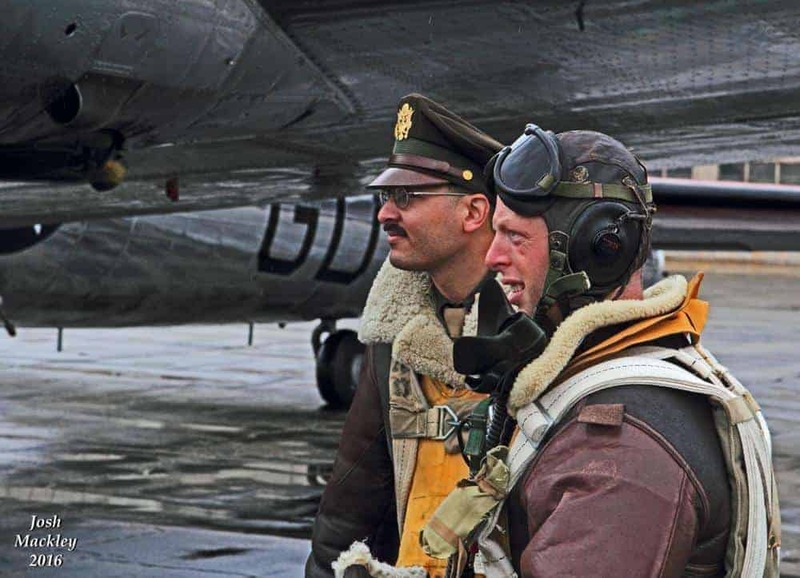 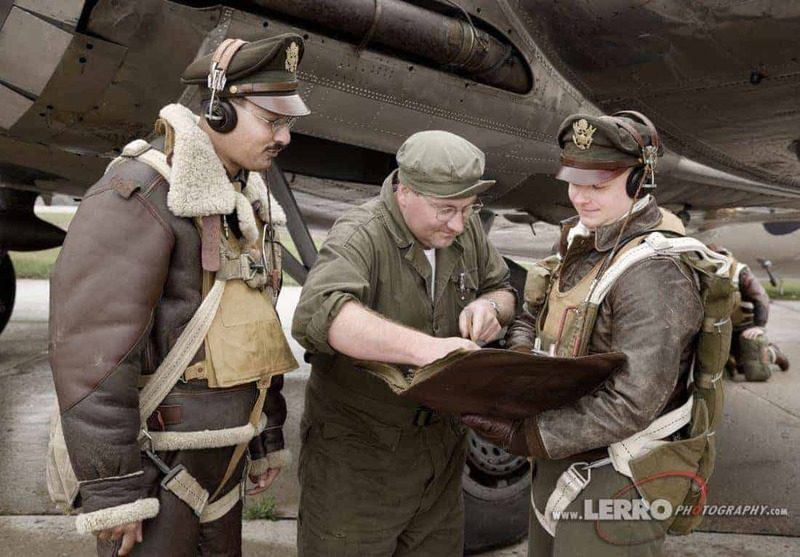 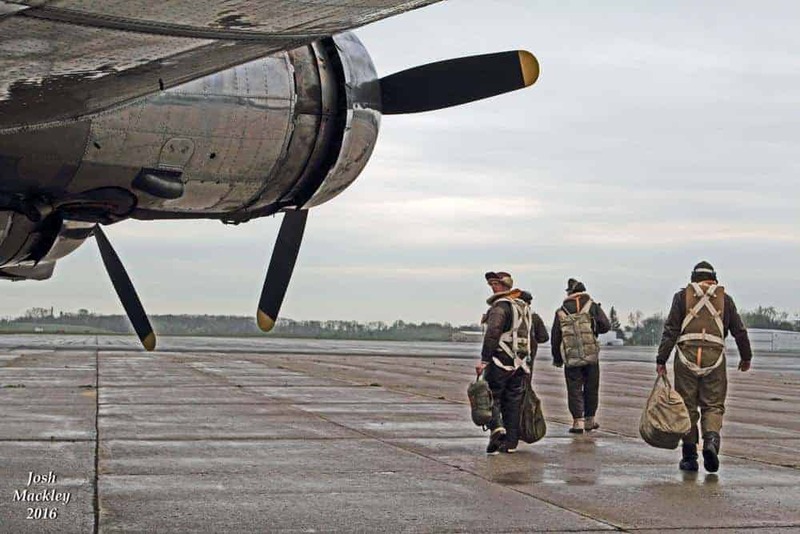 When we finished up with the Rosies, our WWII B-17 flight crew reenactors gave the photographers an amazing presentation on the history of the uniforms as and different types of equipment the flight crew would of used during different parts of the war. 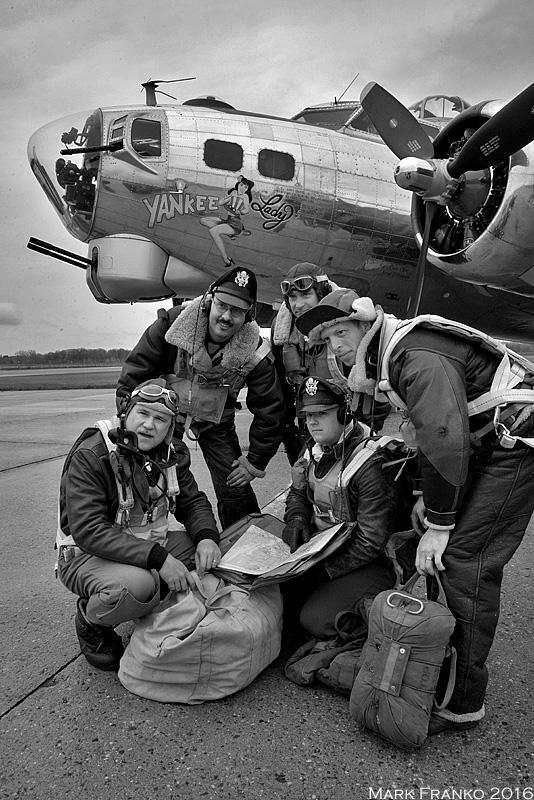 We then spent the next 5 hours photographing the crew members both inside and outside the plane. 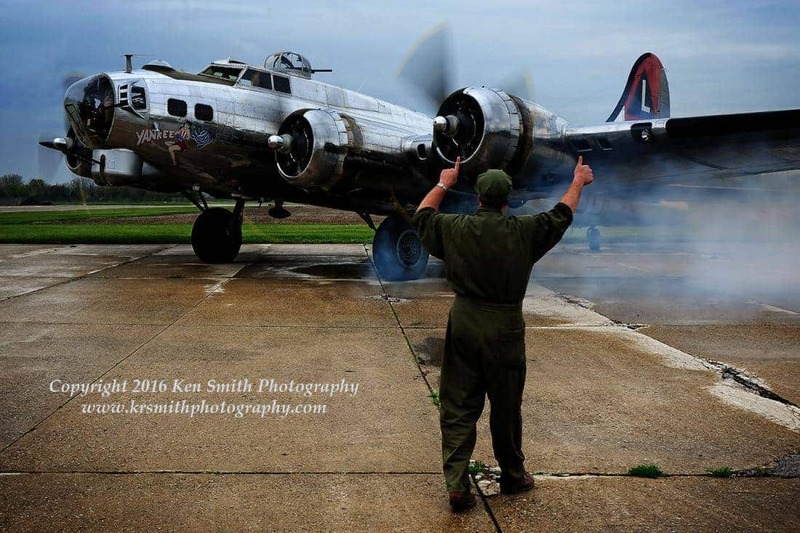 One of the highlights of our shoot was the firing up of the engines and taxing of the plane to an open field. 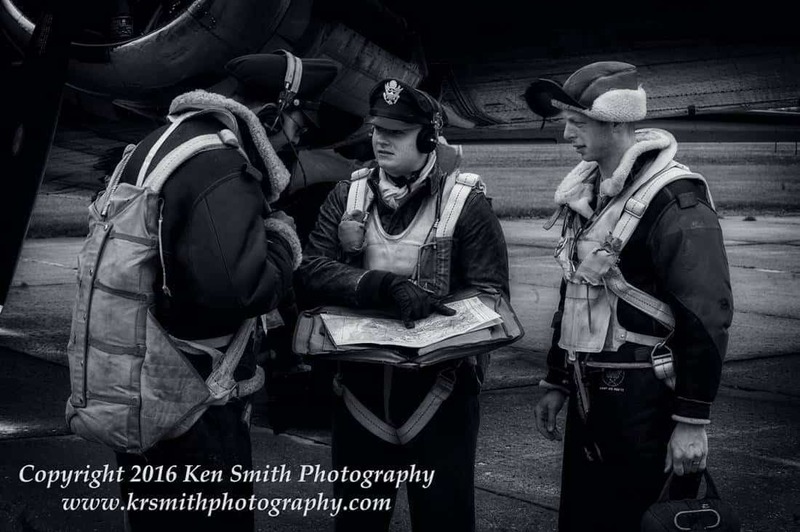 Once in position, we were able to create our scene in Britain/France. 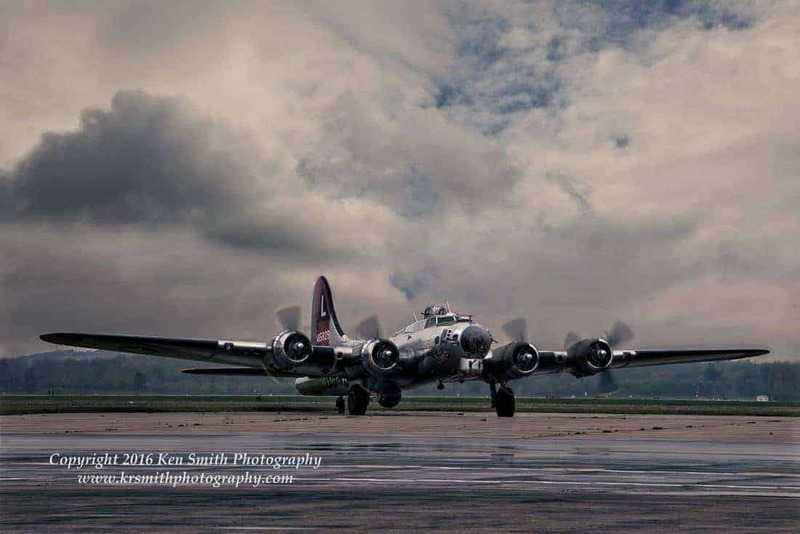 The weather, while cloudy and drizzly, made it look even more realistic the the area. 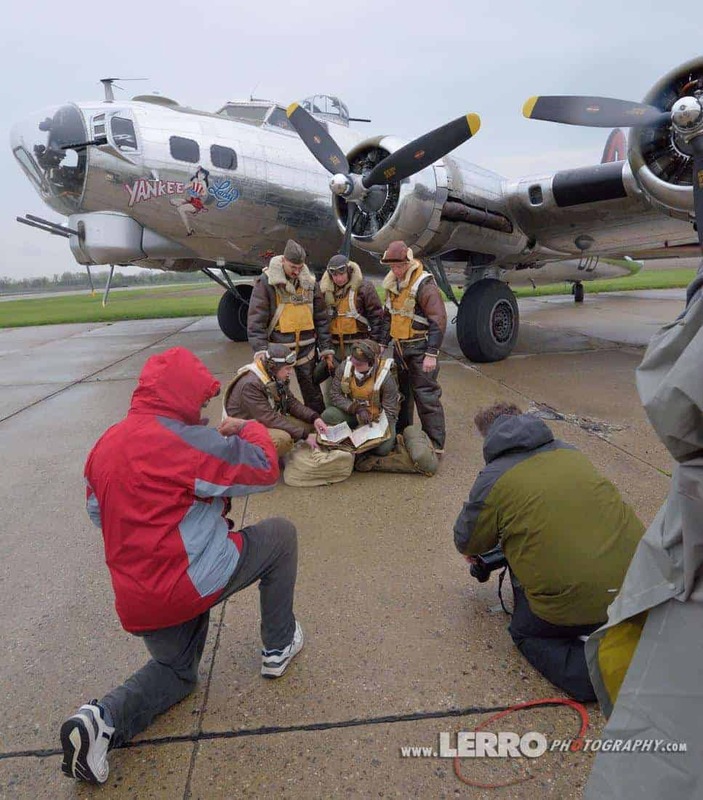 A ride in the plane during the taxi move was also made available to the photographers as well. 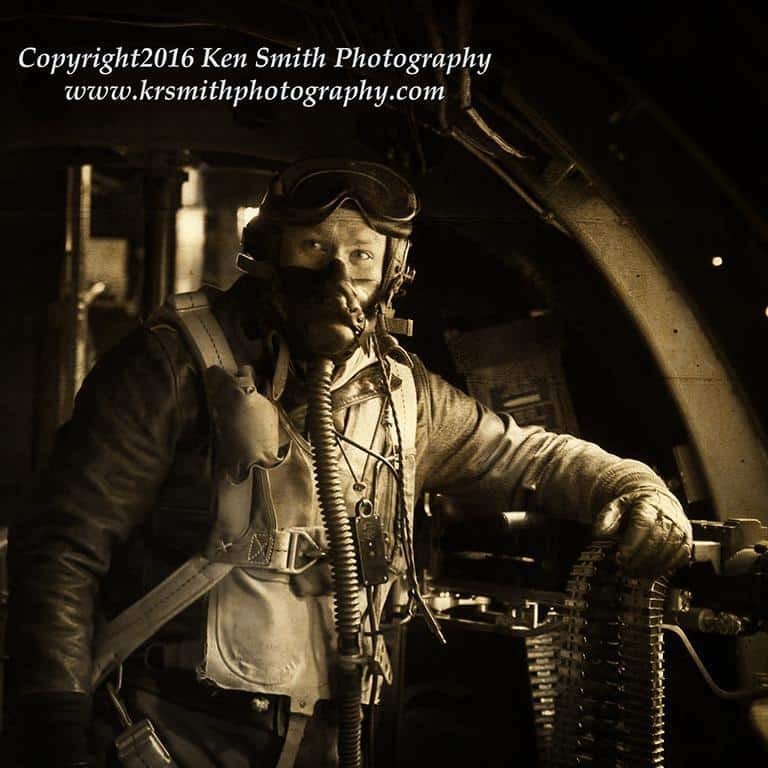 When we finished the shoot, we announced that we are interested in doing an air to air shoot in 2017 with the B-17 and C-47. 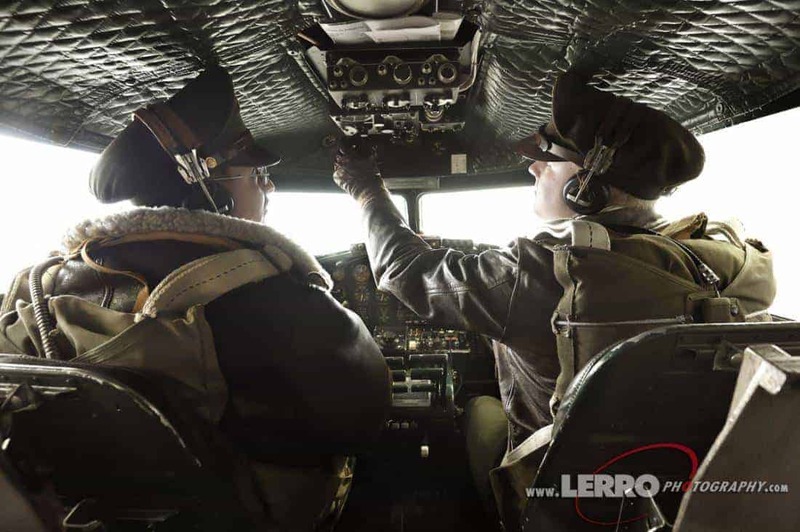 The museum staff allowed us to climb into the C-47 to see what the shooting conditions would be like. 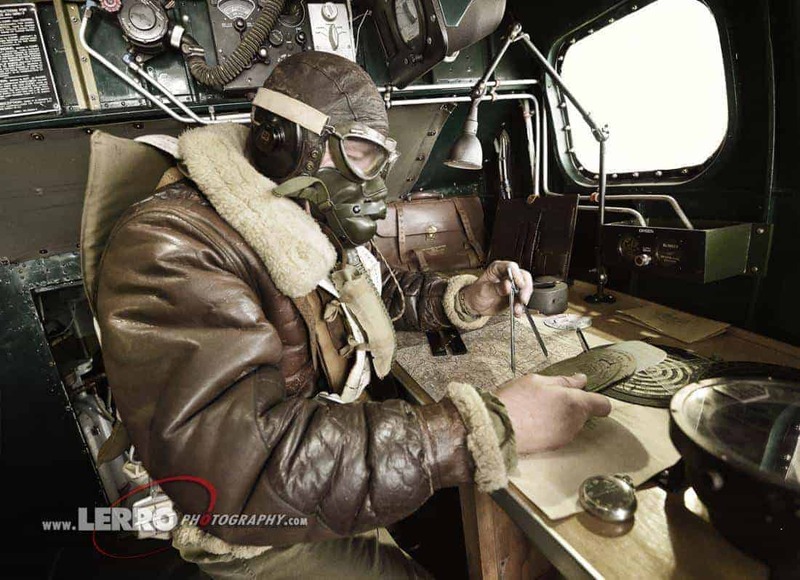 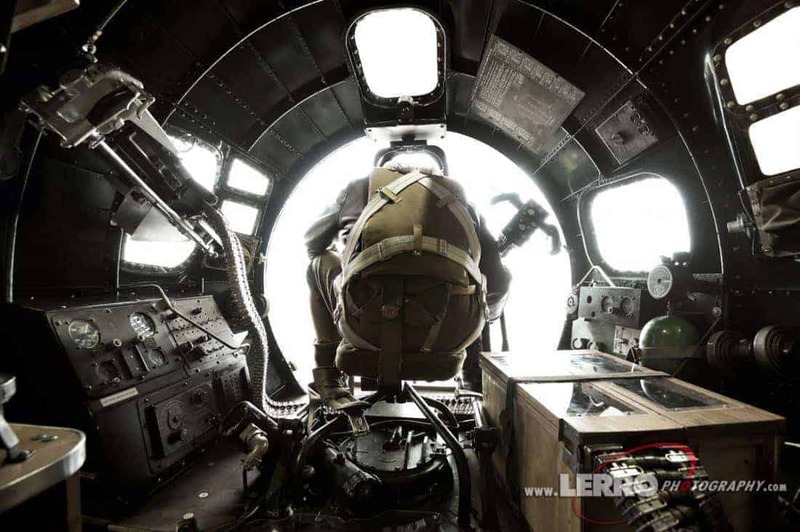 The windows are perfectly clear and will allow us plenty of room to shoot the B-17 in formation. 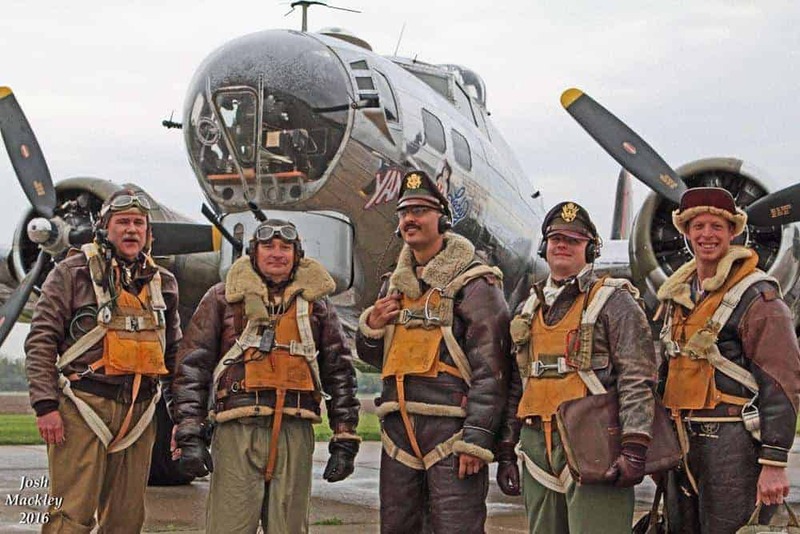 A big thanks goes out to all of our reenactors and we look forward to seeing them again next year.